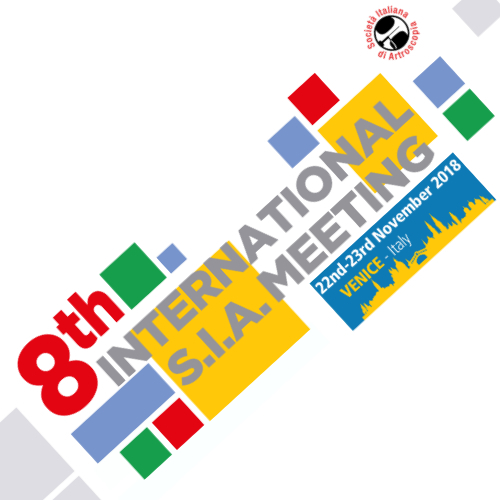 SIA is pleased to announce its 8th International Biennial Congress focused on the hottest topics of the moment in Sports Medicine, Arthroscopy and related Surgery. We welcome delegates from clinical practice, university and industry to meet in Venice, from November 22-23, 2018. The theme for the meeting is “How and Why” and we will take a critical look at topics in the surgical aspects of upper and lower limbs arthroscopy and joints arthroplasty, and challenge ourselves to support our ideas, assertions and findings with rigorous, objective evidence of performance, efficacy and potential. As a Society devoted to technology in addition to the usual international faculty attending in Venice, we will introduce interactive streaming sessions, with experts connected from all over the world. We believe this new format allows for an exciting update giving a perfect international blend to the congress.